Friands are apparently very popular in Australia, I have never eaten one before I made these today. But I will definitely make them again, they were so easy to do and tasted amazing! 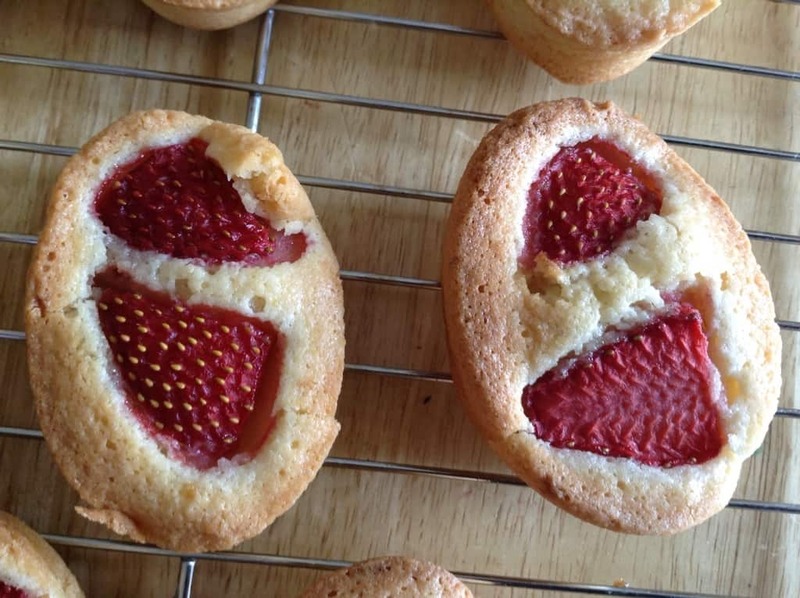 My strawberry and lemon friands are full of summer flavours. To make them, I used a silicon friand tray I found on eBay, they popped out easily and the tray will be easy to clean. If you want a change from cupcakes, why not give them a try! These little almond cakes are closely related to the French financiers. Easy to make as well as tasting great and looking good, they are a real favourite in our house. I mean how much cuter can you get?! 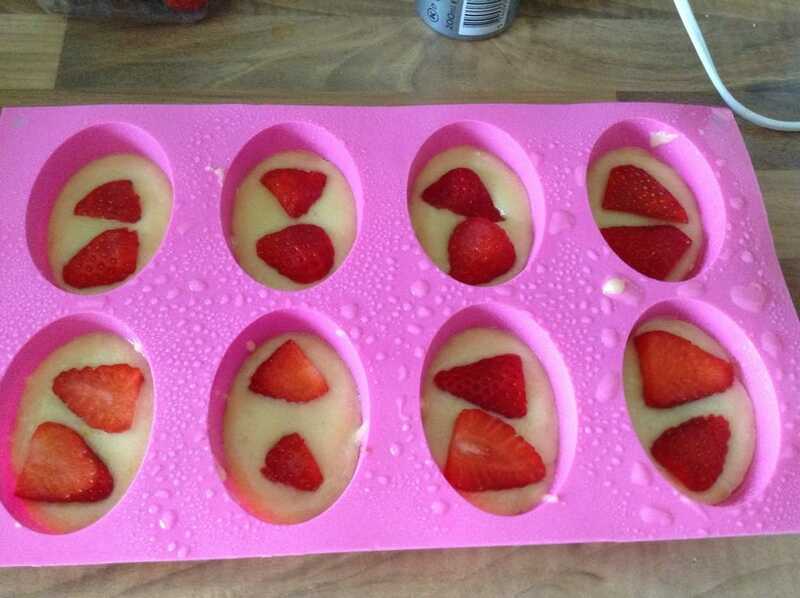 The strawberries keep their colour during baking as the friends don’t take long to bake due to their small size. So bright and colourful! Love a summery fruit bake. Delicious and summery, perfect for a picnic on a summer’s day. 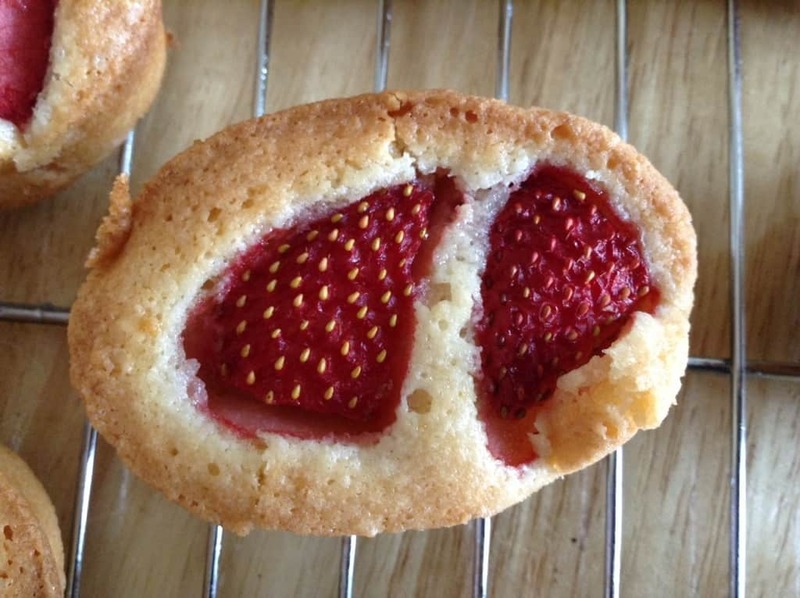 My children adored strawberry and lemon friands, and we will make them again and again! 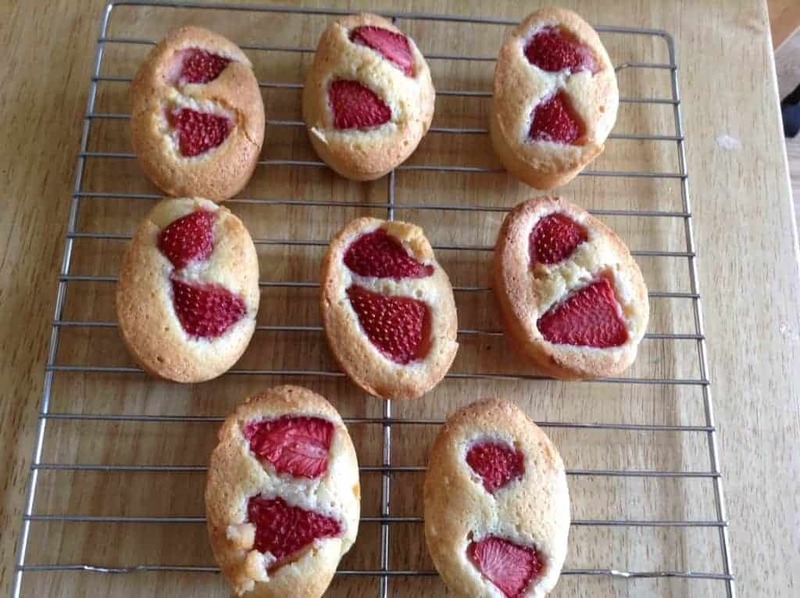 Pin these strawberry and lemon friands for later! Melt the butter (I used the microwave) and leave to cool. Whisk the egg whites with an electric whisk until the soft peak stage. In a different bowl mix together the icing sugar, flour, ground almonds and melted butter. 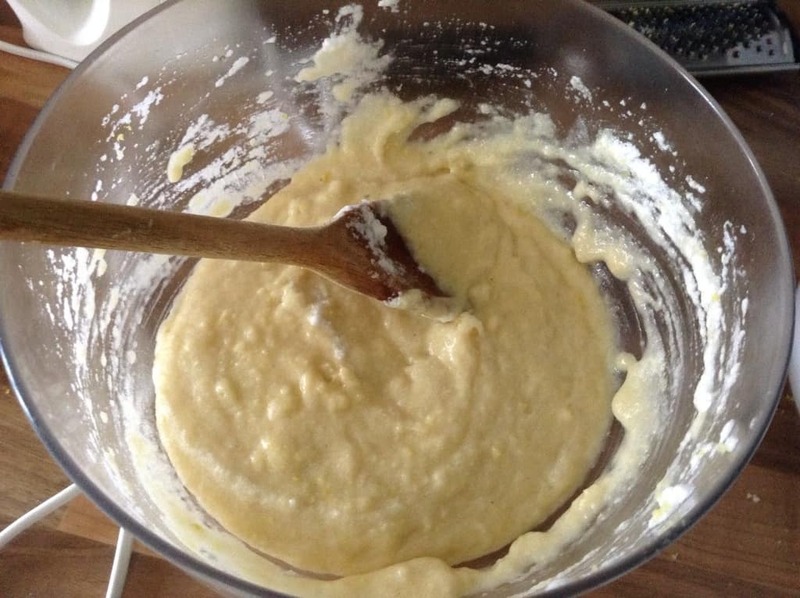 The mixture will look quite thick but don't worry as it will loosen up when you fold in the egg whites. 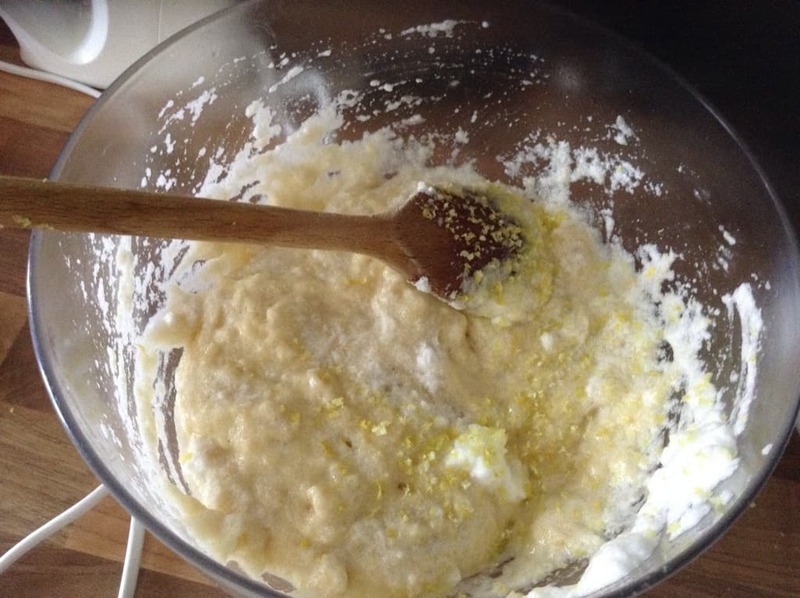 Fold the egg whites into the butter and sugar etc mixture. Spoon into your friand tin, or you could use a normal muffin tin. This filled my 8 friand tray. Top each one with 2 slices of strawberry. Bake at 180 degrees for 15-20 minutes or until golden brown and risen. Remove from the oven and leave to cool in the tray for a few minutes, then place on a rack to cool.